Are you thinking of building a pergola in your garden but struggling to decide on the best place to put it? Picking the perfect location can be a challenge, especially if you have a larger garden and a number of options available! As one of the leading pergola builders, we have a lot of experience in this area. A perfectly placed pergola can add style and interest to your garden, as well as providing you with a practical outdoor living space. Here are a few tips and tricks to help you find the perfect spot. When it comes to decorating outside, especially your backyard, spatial awareness is incredibly important. If you are putting together your space or redoing the set up, properly picking out where everything goes is not only important for form and style, but function and practicality as well. 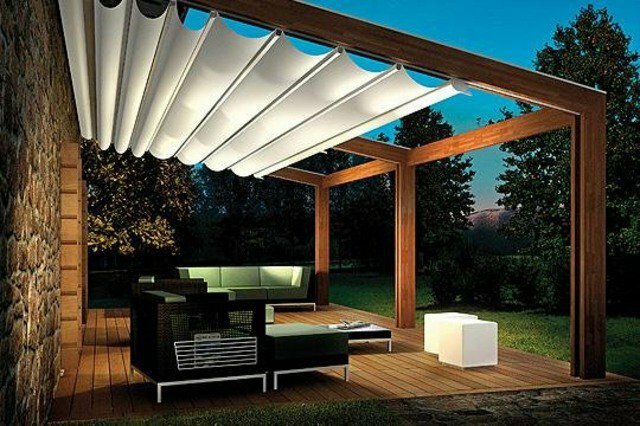 One of the most versatile and unique features to add to a backyard these days is a pergola. These structures add instant aesthetic appeal to any space, while providing you with valuable use as well. Unfortunately, picking out the perfect place for this item can be challenging. If you are struggling to decide where to place your pergola, here are a few helpful tips and tricks to follow. You can start to enjoy your pergola as soon as you have finished building it. But what about going that extra mile and giving it the ‘wow’ factor? With a bit of extra care and attention you can turn the basic structure into a comfortable and inviting outdoor living area you can be proud of, where you will look forward to entertaining guests or relaxing at the end of a hard day. Here are a few tips for adding style and character to your pergola. We’re beginning to feel it in the air and see it on the trees. Summer is coming. The time of being outdoors. When we spend our Saturday mornings weeding the garden and mowing the lawn before the sun gets too hot and then host parties on the patio once the stones cool off. At least those of us lucky enough to own a patio are hosting parties. If you’d rather have one of the leading pergola builders in Melbourne do all the work for you, we’d be more than happy to help. With well over 20 years of experience building pergolas in Melbourne and the surrounding area, we’ve managed to provide an outstanding service for all of our happy customers. So contact us today to find out how we can help you create your perfect outdoor space. You can call us on 1300 724 118.